A Japanese R&D consortium under the Japanese Agency of Science Technology and led by Toyota estimates that even in 2040, in spite of the advance of electric vehicles, internal combustion engines will be installed in about 89% of the world’s total cars, including hybrid vehicles and plug-in hybrid vehicles. 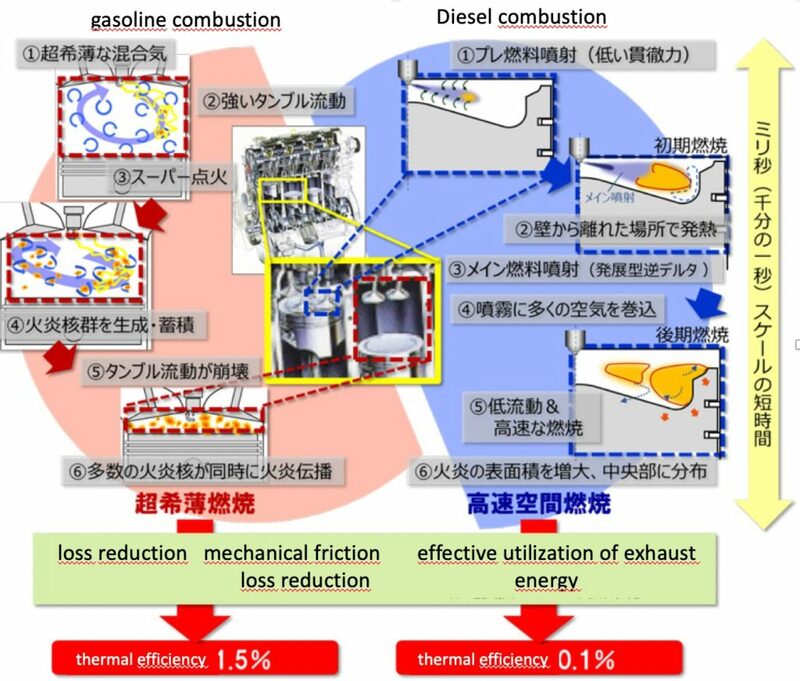 Thus, the optimization of thermal efficiency of combustion motors remains an important target. Thermal efficiency was 30% in the 1970s and reached 40% over the last 40 years. 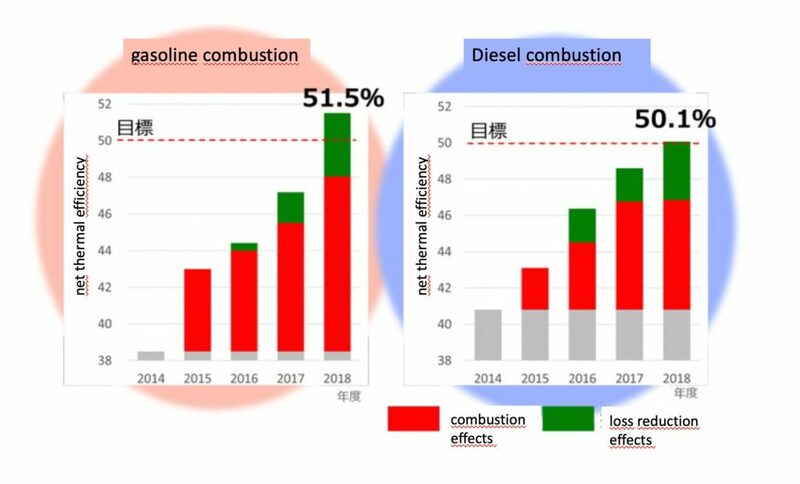 The consortium has succeeded to improve thermal efficiency to over 50 % within just 5 years by the following measures: achieving high-speed spark combustion for gasoline engines, and super lean combustion (super lean burn) for diesel engines. In addition, technology was developed for reducing mechanical friction loss, technology for improving the efficiency of turbocharging systems, and technology for improving the efficiency of thermoelectric conversion systems by R&D for loss reduction common to both engines. As a result of integrating these technologies, the consortium now claims the highest net thermal efficiency of 51.5% for gasoline engines and 50.1% for diesel engines.